An RPM based installation is prefered. This is being deployed into 'production'. Getting a modern version of ruby on CentOS v6 was problematic. Fall back to installing all development tools and building ruby. The package from the CentOS SCL packages is sufficient. The 9.3 package can be used from the postgresql repositories. Use the repo from the nginx.org site. These RPM's are well maintained. This component is installed on an independent machine. Done installing documentation for bundler (0 sec). The GitLab processes will all run as the 'git' user. 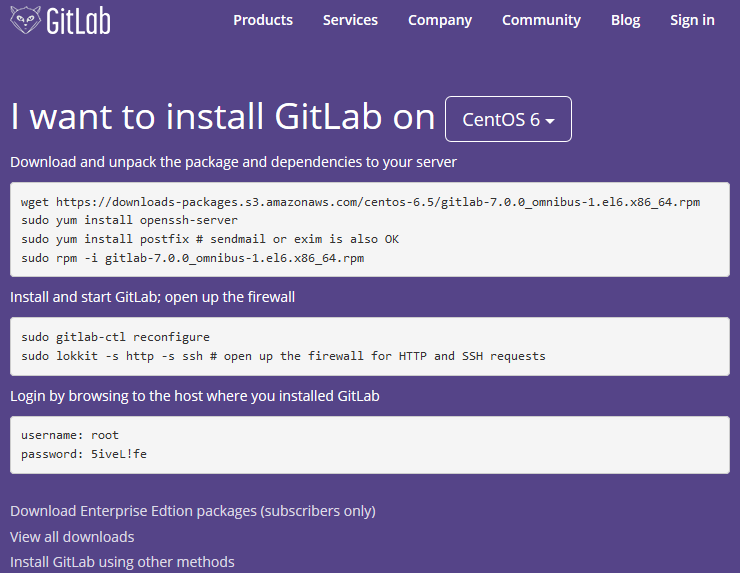 The GitLab programs and files will be installed in the git user directory (developer style install). 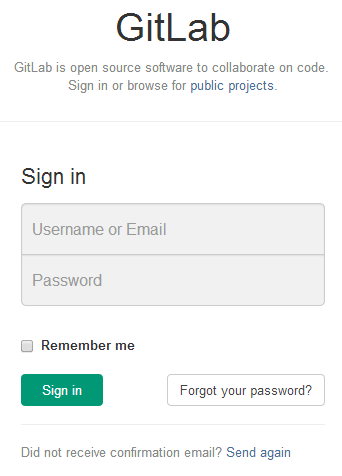 The GitLab tar includes binaries which need to be available in the git users PATH. Set the git users password so that the account is disabled (if it is disabled then users will fail to authenticate using their SSH key). Redis is installed not to run. Configure it to start. The standard GitLab instructions say to do lots of stuff (rename services, symlink binaries etc). The default install has alternatives setup correctly and name the service 'postgresql-9.3'. It listens on IPv4/IPv4 localhost only. $ wget -O gitlab-7.0.tar.gz "https://gitlab.com/gitlab-org/gitlab-ce/repository/archive.tar.gz?ref=7-0-stable"
$ git config --global user.email "gitlab@lucidsolutions.co.nz"
The Nginx configuration is a simple default site without any SSL. Get the gitlab configuration template from gitlab. Add the nginx user to the 'git' group so that Nginx can deliver content. Grant access to the 'git' home directory to Nginx via group rights (this is important, otherwise Nginx will fail to deliver anything). remote: Counting objects: 1251, done. remote: Compressing objects: 100% (799/799), done. Receiving objects: 100% (1251/1251), 177.99 KiB | 125.00 KiB/s, done. Resolving deltas: 100% (742/742), done. instead or set StateMachine::Machine.ignore_method_conflicts = true.